Christy is fifteen, and she’s always been the smartest kid in her class. So when she ignores the little voice telling her not to go inside The Norton Hotel, it turns out to be the dumbest thing she’s ever done. For the first time in her life, Christy has found friends. She’s part of a group of high school kids visiting Washington from all across the U.S. to participate in an advanced educational program. Back home in Helena, Montana, Christy is an outcast, shunned for being a teacher’s pet, and lacking social skills. In D.C., she finds the perfect opportunity to reinvent herself. She finds a group of “cool” kids with whom she becomes friends. It’s the heady joy of being liked–or at least tolerated–that keeps Christy from wanting to disappoint her friends that night. Christy and her friends go into the Norton to use the restroom. While in the ladies room, Christy and her roommate, Marybeth, witness a terrifying murder; the rest of the group sees the grisly aftermath. From that moment on, Christy becomes convinced she sees the murderer’s associates following her group. Soon, the FBI becomes involved. Truly, Christy faces what Dickens described as “the best of times (and) the worst of times.” For the first time in her life, she has two cute boys interested in her, but Christy comes face-to-face with one of the men she knows to be complicit in the murder, and amidst Washington’s bustle, she and her friends find they don’t know whom to trust. “Watched” was not what I expected at all. I’d assumed it would move down the crowded YA-Paranormal road, and Christy would be haunted by the dead guy, or she’d develop psychic powers or something. Instead, “Watched” turned out to be a taut little mystery, sort of like James Patterson for tweens and teens. Author Cindy Hogan does an admirable job balancing Christy’s constant fear with her excitement over her two would-be beaux. One especially nice touch was playing Christy’s two suitors off of each other as rivals, making it almost certain one of them was a mole for the terrorists. But which one? And just how trustworthy are the FBI Agents assigned to the case? They seem a little too good to be true. 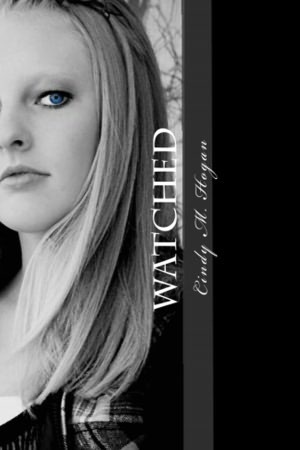 Despite being aimed at a YA audience, “Watched” is still a well-executed mystery. I kept trying to figure out which characters were trustworthy and which were lying, and I didn’t nail it all down by any means. Also, Cindy Hogan has managed to write a book beginning with a bloody murder, then following a bunch of largely unchaperoned, hormone-crazed teens through a big city, and she does so with no foul language and nothing more prurient than some making out (and, I suppose, a cocktail or two when the group sneaks into a club one night). All-in-all, “Watched” should hold the interest of kids 12 and up, without turning anyone into a slavering fiend. This is the first installment in the “Watched” series, and it’s a good one. I look forward to see what Ms Hogan has for us in Book 2 and beyond. This entry was posted in Books, Mysteries/Thrillers, series, Young Adult and tagged booksandmoviesandcrap.com, Cindy Hogan, Watched. Bookmark the permalink.